The Korg Volca Drum represents Korg's continued approach to an infinitely expanding world of sound design. Volca Drum has been designed in t.. 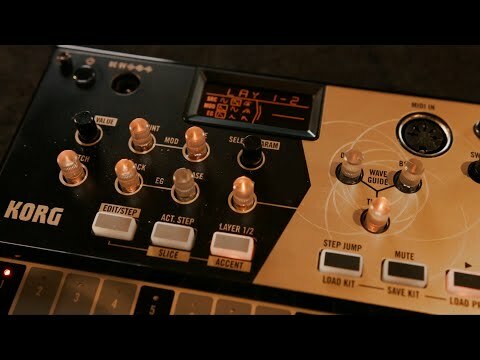 The Korg Volca Drum represents Korg's continued approach to an infinitely expanding world of sound design. 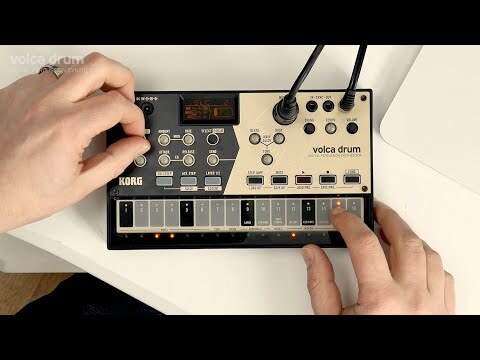 Volca Drum has been designed in tandem with other Korg Volca percussion synths - the Volca Kick and Volca Beats. As the third piece of the puzzle, Korg Volca Drum delivers a digital drum soundscape for loops, grooves and percussive tracks, each with fine-tunable parameters and a powerful step sequencer. 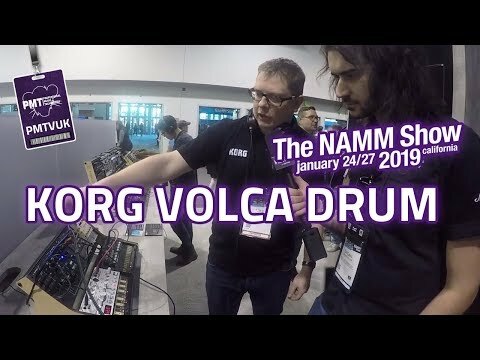 If you're looking for a unique sonic twist as part of a modular synth setup, or want to step away from traditional DAW Loop-Based sequencing, the Korg Volca Drum represents a great opportunity. With fully hands-on automation control, a flexible digital synth engine and randomize features, it's an ideal way to add a new texture to your backing tracks or provide a solid foundation for adding layers and sounds from analogue synth sources. Deep Editing and Motion Automation - Automate up to 69 Parameters! The Volca series is all about unique sound. Whether it's analog, PCM, or FM, the volca series puts unique sounds into an accessible platform. And now, the series is joined by a new rhythm machine that brings yet another sonic character. Check out the video content or Soundcloud playlist on this page to hear what the Korg Volca Drum is capable of. Or why not book a demo with your local PMT In-Store Korg Synth expert? Structure 6 parts (For each part, 2 oscillators, pitch modulator, and amp EG), waveguide resonator effect. Kits 16 (Settings for 6 parts + Settings for waveguide resonator) Kit No.1 – No.10 are factory preset. Program 16 (Sequence pattern, Motion sequence, Kit No.) Program No.1 – No. 10 are factory preset.